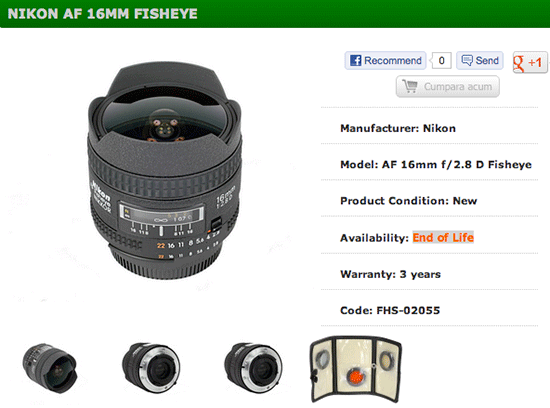 Two Romanian stores (fotohobbyshop and f64) have listed the AF Fisheye-Nikkor 16mm f/2.8D lens as "end of life". 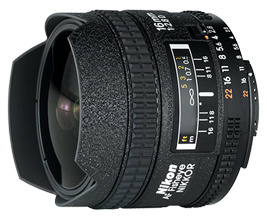 The lens is still listed as current on Nikon USA website. Romanian stores have been accurately publishing information on soon-to-be-discontinued products in the past (Nikon D3x and D3s). This entry was posted in Nikon Lenses and tagged to be discontinued.... Bookmark the permalink. Trackbacks are closed, but you can post a comment.